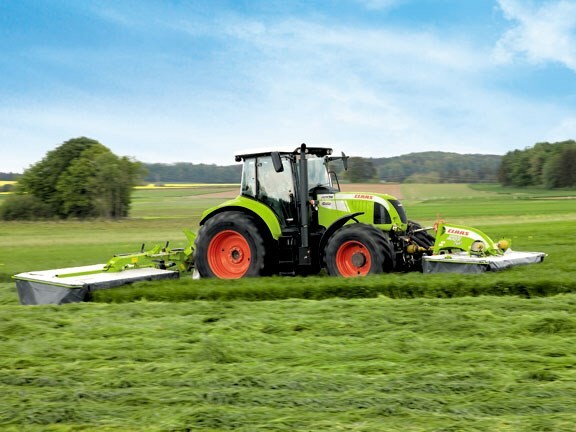 Just when you thought it couldn’t get any better, Claas out does itself and re-invents a new model in the Disco series, which is bigger and better than the last – a rugged and tough mower conditioner combination that is very hard to fault. All Claas mowers with a working width above 2.60m have what Claas has labelled P-Cut, which is broken into many features. Firstly, a tunnel effect has been created between each disc, which put simply is a V-shaped indentation on the underside of the cutter bar between each skid plate to allow the stubble to flow under the bar without pulling up sod. Also, between each cutting disc there is a slight overlap to ensure that you don’t get that wave effect across the paddock that you notice with some of the early disc mowers. The mowers have large diameter, slow-turning primary gears with convex-profiled teeth and are made of special 24mm thick steel to provide reduced wear. There are two large drive cogs for each disc, which then transfer the power via an upstream pinion to a separate drive that transfers the correct portion of power to each disc. 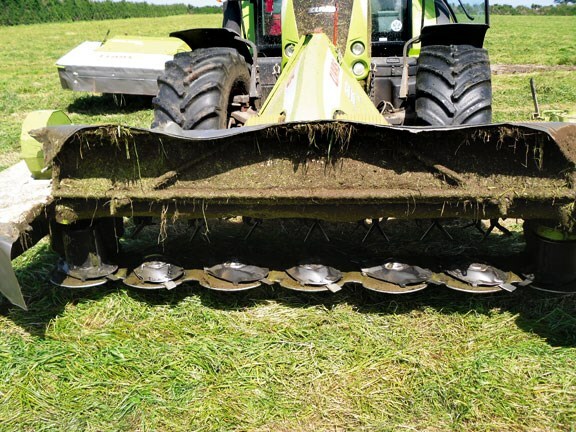 Underside skid plates are fitted, however extra-wear skids were fitted to our test machine due to the sandy soil in parts of Taranaki, and this is a good option for all contractors who are mowing high acreage. SAFETYLINK is a safety module that will shear when a large obstacle is struck to prevent any damage to the bar itself. Six bolts hold on the SAFETYLINK module (which includes the satellite pinion gear and the bearing) onto the cutter bar and can be replaced with ease. Another key feature of the SAFETYLINK is the bolt located in the pinion shaft itself, which prevents the disc from flying off in the event of a severe impact. To further protect the mower bed the break-back device throws the bed back 25 degrees with a rubber spring device to lock it in. It cannot jam, providing protection every time. All Disco contour rear mounted mowers are equipped with ACTIVEFLOAT suspension system. ACTIVEFLOAT is the hydro-pneumatic suspension between the cutter bar and the ground. 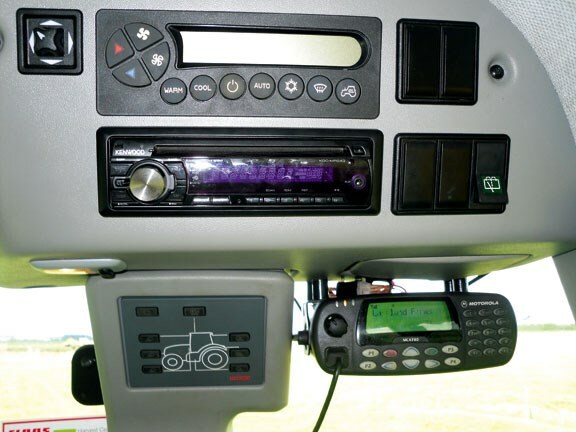 It can be adjusted from the cab with a one-way hydraulic outlet and can be read by the pressure gauge to the right of the toplink. If the ground conditions are flat and require very little movement, a tap on the hydraulic line can be shut but the pressure will remain constant. 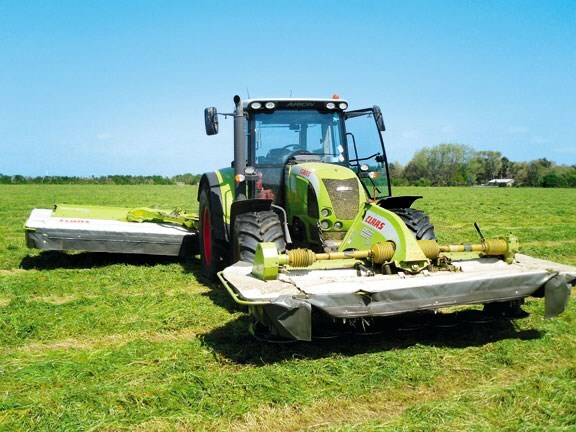 On the front-mounted profil, the mower bed is connected to the boom via a pivot point on the outside of both the first and seventh disc. This acts as the rocker for forward and back pivotal movement and the centre of the boom is connected to the tractor with the pivot point in the centre to cover up and down movements. This centre pivot rocks very freely, however the PTO shafts on either side add enough stiffness to solve any problems and seem to follow the ground effectively regardless of the tractor angle. On the rear-mounted contour mower, power to the bed is sent via the tractor PTO though a 90-degree gearbox via another shaft to a second gearbox located above the innermost disc. This sends power to the mower bed via a universal joint. 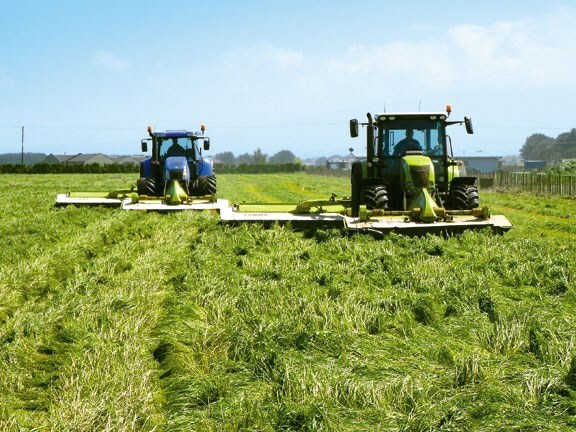 The inner and outer most discs have a cylinder mounted to them to help guide the grass into the conditioner; it also minimises the need for bulky strengthening, which causes blockages in heavy crops and places stress on the components. The second gearbox also powers the belt drive, which runs the steel tine conditioner. This is why the rear PTO needs to be run at 1000rpm. On the front mower the centrally mounted gearbox (also run at 1000rpm) splits the power through two shafts; one to the drive disc on the mower bed on the left-hand side while the other shaft dives the conditioner belt on the right-hand side of the mower. Claas has a system that is both easy to use and very effective. A special L-shaped tool is slotted between the disc and a spring-loaded steel plate. To change the blade, simply push the tool towards the ground to separate the two plates, then remove the broken blade, slot in the new one and release the tool – job done. To further increase the user-friendliness, a small two-sided blade bow is kept close to the changing tool where left and right-hand blades are kept along with part numbers on the top of the box for quick reference. For transport, the contour rear-mower folds up to 115 degrees, out of the way of overhead obstacles. This also brings the centre of gravity towards the middle of the rear axle, making the tractor more stable at 50km and increases rear vision in side mirrors. CatIII linkage mounting points are used for the conditioner models of the contour range due to the increased weight placed on the mower chassis. The front-mounted mower is equipped with A frame, which makes hitching and un-hitching easy. Pull the leaver to unlock it, remove the PTO shaft and back away. When hitching it locks in automatically. The conditioner swath plates can be moved in or out simply by turning knobs on the roof of the conditioner. A large lever on the right-hand side of the conditioner adjusts the aggression of the tines depending on the crop. This is applicable to both the front and rear mowers. 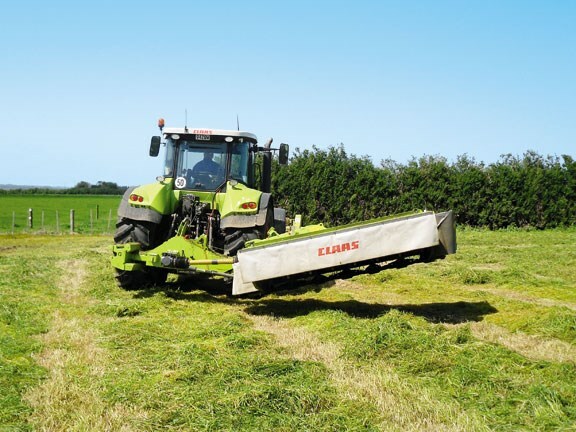 See a range of Claas machinery for sale.